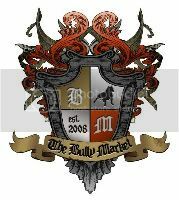 American Bully TV | Keepin it BULLY! A short video to sum up Beastros memorable run in becoming a ABKC Grand Champion. He went from 80 points to champion in two weeks, from Champion to Grand Champion in three weeks and to top it off he won Best in Show in his first show back in California solidifying that he can hang with the best all over the country.